A quiet week ahead but what better way to start it with a Tale From The Ring, namely Sandown on Saturday. Plus today's selection from Bangor. The alarm goes off at a shockingly early 6.30am. I give it another ten minutes before hauling myself out of my pit to get ready. Thankfully I’d prepared a bit last night, so I know where all the cold weather gear is. Sandwiches and flask are soon made, and we (yes, the good lady is mad enough to get up early to come along too) set off at eight. An uneventful journey is punctuated only by a dip in at Watford Gap for breakfast, and we arrive at around half ten. Steve, who had rung on the way down to ask if we were already there (at half nine – what time does he think I get up, ffs?) is ready with the gear and in we go. There’s some confusion after the pick (that’s where we all decide where we are going to bet for the day) as we go on the front in Pitch 14, only for the guy that’s chosen 15 to announce he’s not betting after all. So we move into 15. Then another bookmaker (who has the choice to do so) decides he’d rather have 15 now it’s vacant, and instead we go on the end of the front line. A good little pitch! One of the first punters we serve asks Steve (who trades under the name Stevie Stretch) if he knows or is related to Gary Stretch, the boxer. Steve’s not, but he likes his boxing, so he and the punter have a good old chinwag. He and his wife come and have their fiver with us every race after that. Lovely people. We set up betting for the first and as you’d expect with a 1-3 favourite, nobody really wants it and instead it’s all e/w betting. And you can guess which one – they all want Fukuto, as it gives everyone a chance to swear at the clerk as they have a bet. The only swearing during the race came from us as Fukuto rolls into second up the run in. Not a good start. I then have the pleasure of meeting a Punt reader – hello Gary, lovely to meet you! – and then we crack on for the next. And for a four horse race, it’s lively. £400 Capeland, £200 Poker School, £200 Darebin, another £200 Capeland all go in the hod. Darebin comes out on top and the losses of the first are got back. In fact, she backs the next winner, Larry, as well, and even I’m starting to think there’s something in it. Larry is well backed – who doesn’t know a Larry? – and we’re back to square one. The Laurina match is of no interest, so we bet on the winning distance instead. One punter has £100 on 1-5 lengths but it’s clear he’s done his money turning in. 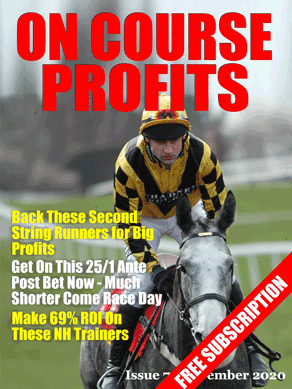 Sadly, lots of others have backed over 20 lengths and we win – get ready for this – £2 on the race. The Veterans are up next and everyone wants a bet. Houblon Des Obeaux is a 14-1 chance when we open but wins at 7-1, which shows you how very well backed he was. To me, he had it won when Buywise came down at the last but one or two others disagree. Game of opinions, lads! The lady “hugging” punter has backed that winner as well. The price has just gone up to a tenner. We go into the last basically level and could do with a result. We don’t get one, as Lizzie and Lecoq glide effortlessly clear in the closing stages. Steve’s boxing punter has backed it and as he picks up, thanks us for our service. “You always wish me good luck,” he says to me, “and I appreciate that.” It’s the little things, isn’t it? We may have lost on the day, but I know I’ve done my best. On the way back home we call in at Watford for a meal with friends. Back home for 10, and it’s been a long day. I have to say today's racing has all the appeal of being locked in a room with Matt Chapman with a megaphone for an hour, but there's winners out there somewhere and the first at Bangor looks a competitive event. On this better ground, I'll take Shininstar to bounce back after a below-par effort at Huntingdon on Boxing Day where (in a better race than today's) he weakened out of it after a mistake. This looks much more suitable and is worth a small win bet. Another lovely read and with not a mention of Tedham, another of your Saturday ‘best selection’ pocket fillers!…Just like you and very much unlike so many others. I’ve subscribed to lots of sites over the years, both paid and ‘free’ – still get bookie bashing certainties (not) and (drainage) systems by the bucket load- none of which have brought anywhere near neither the intimacy nor profitability of the sport that we and many more enjoy that you bring in your posts Sir David…Thanks a plenty. The bookie behind you on Saturday opened evens on Laurina winning by more than 6 lengths which I thought was fantastic value. Won some on it but didn’t quite have the conviction to empty the wallet. You offered diiferent distances but, combining them, Stevie Stretch made it about 1-8 which I thought more like it. I’d have gladly taken the £100 on 1-6 lengths. Was never going to happen. Thanks for the comments. I don’t feel the need to boom bets, or tell people when I’ve had a winner. I do what I do and hopefully make folk a few quid. I shall keep doing what I do for as long as folk keep reading!